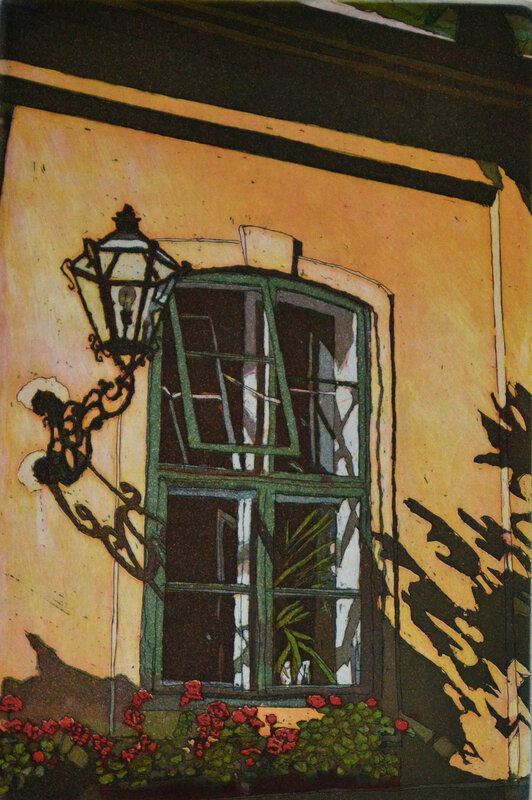 Artist and printmaker Anita Toney was born in New York City in 1948. She earned a BFA at Syracuse University, and a MA at San Francisco State University. She lives and works in Fairfax, CA and has taught printmaking at City College of San Francisco since 1979. 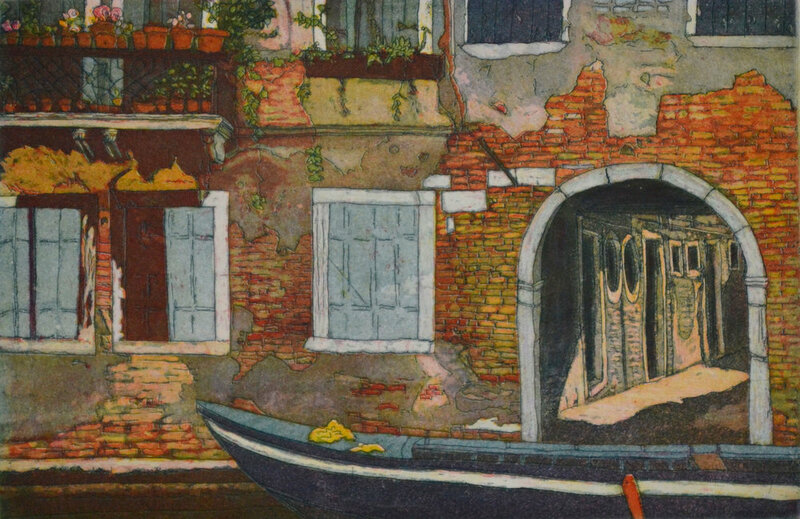 Toney's etchings are known for their rich diversity of color achieved by a multiple plate color etching process. The larger work, mostly diptychs and triptychs, juxtaposes natural and manmade images inspired by her environment. 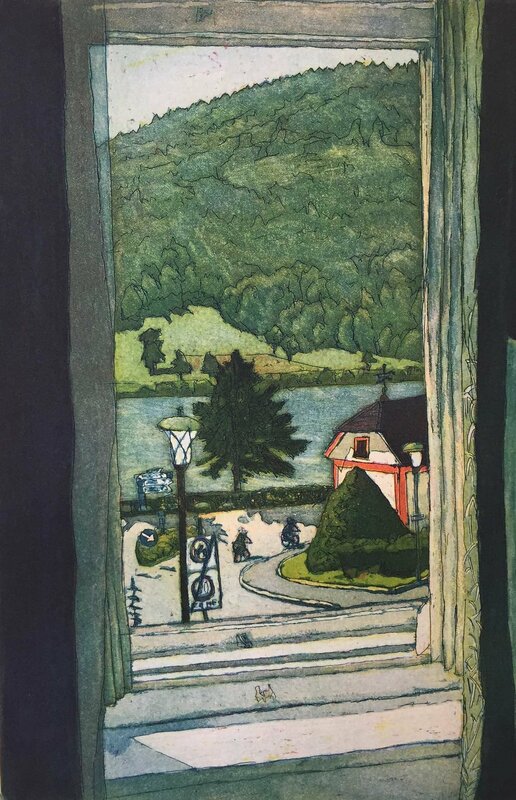 Other etchings chronicle her travels to France, Germany, Holland, Italy, and Switzerland. With colorful detail, she focuses on recreating a certain mood or moment both in and out of her home. 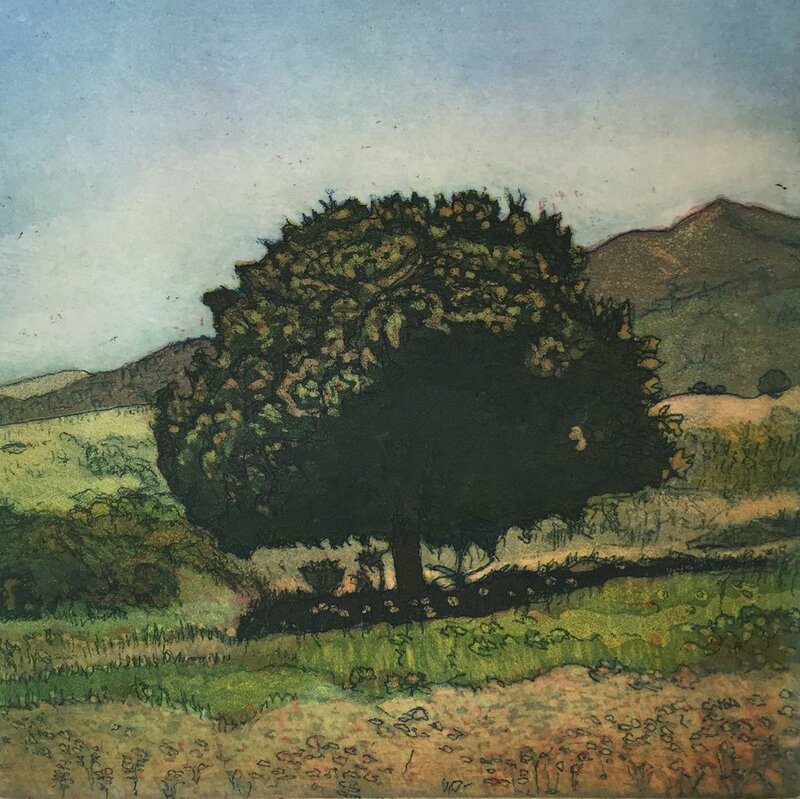 Exhibitions have included Father/Daughter Retrospective at the College of Marin, Landscape Real and Ideal at the Collectors Gallery, Oakland Museum of California, Marinscapes in Larkspur, CA, and West Marin Wild Exhibit in Pt. Reyes, CA. Toney has been awarded the Leo Meissner Prize from the National Academy of Design and the American Arts Award from the Audubon Artists. A member of the National Academy of Design since 1995, she has also been active as a set designer for youth theater productions and a volunteer art instructor in public schools. She has also curated several exhibits of paintings by her father, Anthony Toney, who passed in 2004. 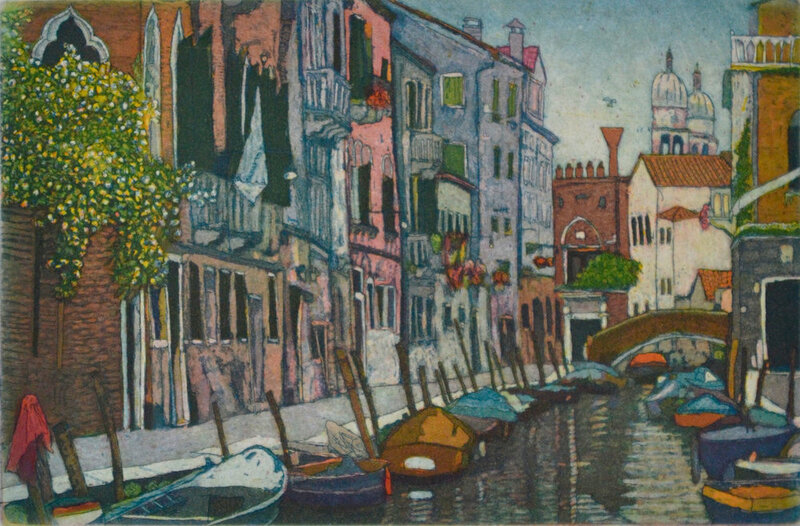 Her fine etchings are found in collections around the world. The inspiration for my images comes from an appreciation of my surroundings inside and out, near and far. The etchings emphasize natural and man-made patterns focusing on a certain mood or moment.